Fantom external hard drive recovery is not hard to perform if you have the right tools and you know what you are doing. In the following sections I am going to discuss why your hard drive had stopped working, what are some of the external hard drive data recovery methods that you can apply, and what kind of hard disk recovery software you should choose and which one you should stay away form. First, let’s find out more about the Fantom Drives DataShield Portable SSD DSS1000! It is basically a military grade 256-bit encrypted piece of hardware that is portable and lighting fast. It has USB 3.0 port, but it can also be used with the old USB 2.0 connection port. A nice feature that I like about it, is that is automatically powers off after 10 mins’ idle time. This is a secure hard drive, so to boot it up again you’ll have to type the pass code again. It is both Mac and PC compatible and is has a built-in keypad. If you have bought an encrypted device, it means you value your data. Read the following sections to find out more about what is the Fantom Hard disk recovery method that I recommend. I will even provide a download link for the free data recovery software I am going to use in the step-by-step data recovery tutorial presented in the 3rd section of this article. Before get into detailed discussions on Fantom external hard drive recovery let’s find out more why your SSD drive failed. It is said that SSDs are faster, much more stable, and use less power, thus are more superior to the traditional HDDs, so why even bother spending your time reading about external hard drive data recovery methods anyway? Because better or superior doesn’t mean infallible. Sometimes SSD brake too. Blame the law of entropy for this or someone but you need to know that eventually it might even happen to you. Compared to the traditional storage drives, SSDs don’t have any spinning or moving mechanical parts that might tear up. However, SDD are still sensible to power surges as they have capacitors on their circuitry boards. 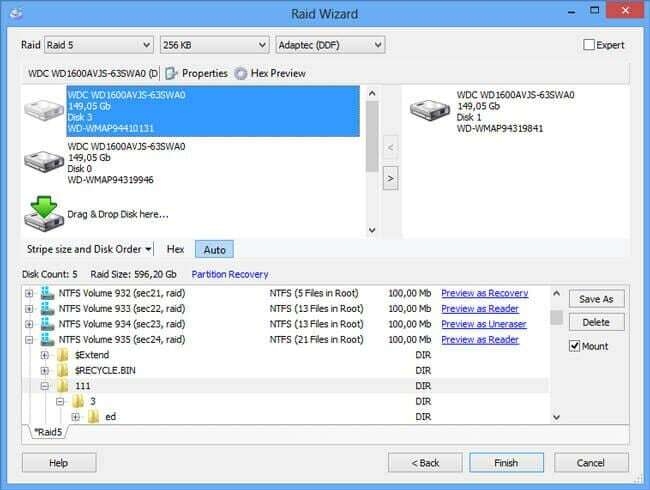 Power failures can corrupt existing data on your SSD, and that’s when you should be looking for a Fantom Hard disk recovery method. If you are blocked when trying to write or read a file, you should know that you might have a logical crash. Using a free data recovery software, you should be able to recover lost or inaccessible data. Some other time, the system is unable to boot up because of corrupted files. It is essential that you stop using your drive and immediately search for a good hard disk recovery software that will help you fix this issue without having to permanently loose important data. Other errors include: frequent crashes, you cannot write on your drive, or something similar. Learn how to do it in the following section. People like myself are always looking for the best solution to a problem that they may ever confront with. Now, if you guys are looking for the finest Fantom external hard drive recovery solutions, you should know that you might have had landed on the right webpage. Now the recovery software that I am going to discuss next is Wondershare Data Recovery . The best thing about it is that it uses a safe algorithm that is read-only, which doesn’t overwrite data. Likewise, it able to recover data completely with its Deep Scan Mode that can be used to recover data with original files and folders structure. My favorite feature is that you can pause the recovery process at any time, recover a file, and then come back and resume that session later at any point in time; it can be today, tomorrow or next year. You can download this free data recovery software from here. Please follow the next step-by-step tutorial to learn how to use this hard disk recovery software to get your lost files back. Download Wondershare Data Recovery (wins version) on you Windows computer, and connect your external hard dive to you PC. Step 2 Choose the target location, and hard select the "external removable decive" option. Step 3 After the quick scan completed, if you can't find your lost data go to deep scan which will take more time. Step 4 After Scanning the external hard drive ,it supports to preview the deleted,lost files from External hard drive, and select the file you want to recover back. For those of you that would like to use this Fantom external hard drive recovery method described in this article but are Mac users please download Wondershare Data Recovery for Mac from here.